Last week, Ford abruptly changed its CEO. Moody’s reported that the move reflects potentially negative developments inside the automaker. The credit-rating agency declared that the ascension of Jim Hackett is credit-negative for Ford. Meanwhile, Tesla has overtaken both GM and Ford as the most valuable automaker in the US. Let us try to place this in perspective. Last year (2016) GM sold 10 million cars and earned a profit of $9 billion. Tesla sold 76,000 cars and suffered a loss of $776 million. Investors seem to view Tesla more favorably than either GM or Ford. Tesla’s enterprise value (debt + equity – cash) is about $66 billion. Ford’s enterprise value is about $238 billion. GM’s enterprise value is about $216 billion. One way to understand Tesla’s valuation is to realize that equity constitutes 74% of assets, while the corresponding figures for Ford and GM are 18% and 22% respectively. A different, perhaps disturbing way of understanding the valuations is to look at the future of transportation. Enter Tony Seba, Stanford University economist, and futurologist. Solar or the wind will be the sources of all new energy. All new mass-market vehicles will be electric. All these vehicles will be autonomous (self-driving) or semi-autonomous (minimal human intervention). The car market will shrink by 80%. Gasolene will be obsolete. Natural gas and coal will be obsolete. The concept of individual car ownership will be obsolete. The taxi industry will be obsolete. The car insurance industry will undergo massive disruption, with rates falling as much as 90%. This scenario (that will make Tesla very happy and cause anxiety to others) rests on a fairly simple premise: electric vehicles (EVs) will be ten times cheaper to run than fossil fuel-based cars, with a near-zero marginal cost of fuel and an expected lifespan of 1 million miles (1.6 million kilometers). 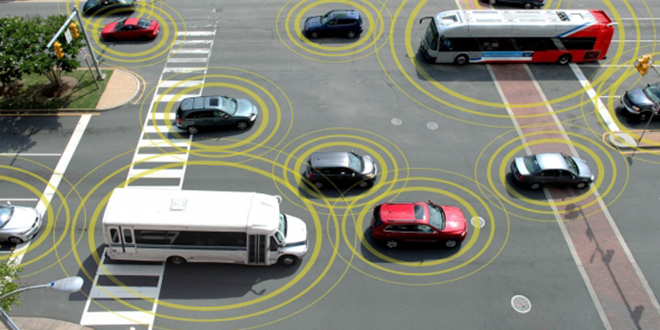 The next generation of vehicles will be "computers on wheels." Tesla, Google, Apple, and Foxconn have the disruptive edge and are going for the kill. Silicon Valley is where the future of transportation will take shape. Not in Detroit or Wolfsburg or Toyota City. The “tipping point” will likely occur in the next two to three years. EV battery ranges surpass 200 miles, and electric car prices in the US will drop to $30,000 with low-end models available at $20,000. The ensuing avalanche will sweep all before it. You may not agree with the dire predictions. Other experts disagree not on the core message but on the timeline. The trends are clear if one is willing to take the blinkers off. China, the most populous country in the world, is aggressively pushing “new energy” vehicles, a euphemism for electric and hybrid vehicles. India, the second most populous country in the world, plans to phase out all petrol and diesel cars by 2032. The approach is a mix of subsidies for electric vehicles and car pooling, and a cap on fossil-based cars. Global shipping rules are clamping down on dirty high-sulphur oil used in shipping, a move that may lead to the industry switching to liquefied natural gas. Even the leading OPEC countries seem to believe the inevitability of it all. Why else would one of the largest state-funded oil companies in the world sell-off chunks of its equity to fund diversification away from oil? At the heart of this unprecedented disruption is elegant simplicity. The Tesla S has 18 moving parts, compared with nearly 2,000 for a traditional car. Maintenance is nearly zero. No wonder Tesla is offering infinite-mile warranties. EVs are four times more efficient than petrol or diesel cars, which lose 80 percent of their power in heat. The effect will not be confined to cars. Trucks will switch in tandem. Over 70 percent of US haulage routes are already within battery range, and batteries are getting better each year. It is worth remembering that the Stone Age did not end because we ran out of stones. It ended because a disruptive technology ushered in the Bronze Age. In the last two decades, we have seen the complete disruption of entire industries – mainframe computing, publishing, landline telephony, and information access. The forthcoming disruption will be quick and brutal.